In short – A Nuclear Engineer named of Mehran T. Keshe has discovered the basic fundamental principles behind the creation of Gravity Fields. This discovery has caused an avalanche of new scientific knowledge, new technologies, and new solutions to major global issues – such as energy, health, environment, the economy, etc. Mehran Keshe, via the Keshe Foundation and the Spaceship Institute, is now in the process of giving this new knowledge – Magrav Technology – to the world for free, in the effort to clean up our planet and to realize world peace. It is no secret that the world is going through some difficult times right now. We face an energy crisis, economic crisis, environmental crisis, issues with food and water quality, education, health, politics, human rights issues, and the list goes on – there is no shortage of daunting issues facing us today. When looking at the state of the world, it is easy to feel overwhelmed and to lose hope. However, it does not have to be that way. Despite all of the difficulties and turmoil unfolding around the world, there is, at the same time, something absolutely amazing happening. Something that is going to change the entire world – forever. Gravity has often been referred to as the holy grail of science. The reason for this is simple. No one in the history of the world has ever been able to explain what Gravity is, where it comes from, or how it is created. Until now. Science now understands the basic principles behind the creation of Gravity – one of the fundamental building blocks for the creation of the Universe. This article is intended to tell the story of what will prove to be one of the greatest scientific discovery the world has ever seen And, how it’s going to impact your life in super epic ways. 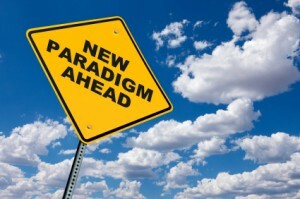 Also known as a shift in consciousness, a paradigm shift is simply a worldview change. For example, before the Wright Brothers uncovered the secrets of manned flight in 1903, most everyone believed it was impossible for humans to fly effortlessly through the sky like the birds. However, after Wilbur and Orville Wright, manned flight became not only possible, it became common knowledge. What was once impossible for humans to believe, is now perfectly rational. This, my friends, is a paradigm shift. Many people think of scientific discovery as a process of gradual accumulation of new information, which is added to a pile of existing knowledge. This is referred to as the sand castle view of science, where individual scientists are seen as children digging on a beach, adding their contribution to the pile of sand that has already been gathered. This sand castle view of science describes 99 percent of what we consider scientific advancement, but it does not account for the remaining 1 percent. This other kind of scientific advancement comes from those discoveries, those revolutionary new understandings of the world that end up causing a paradigm shift. These discoveries forever shift our collective conscious from one understanding of how reality works, to another more developed understanding. Can you believe there was once a time when most people on this planet believed the Earth was the center of the Universe? Or better yet, that the earth was flat? It is hard to believe, but back then it was nearly impossible to believe anything else. The Earth was the center of Universe and everything revolved around us – this was the paradigm of the people at that time, and you would have been crazy to believe otherwise. However, when we realized that the Earth was not the center of the Universe, or flat for that matter, it caused a shift in consciousness, expanding our collective consciousness, and expanding our understanding of the world. A similar shift in consciousness took place in the 17th century when Isaac Newton discovered and explained the laws of motion, which are fundamental principles that provide us with clear and accurate insight into how the universe works.These basic scientific principles developed by one man (Newton), proceeded to birth the industrial revolution, changing all of society, and shifting our collective conscious into an expanded awareness with a new understanding of how the world works. Fast forward one hundred years to Benjamin Franklin and watch as he flies his kite in the middle of the night, during a lightning storm. His kite has a key tied to its end because Franklin is experimenting with lightning – with electricity. Move forward in time fifty years and watch Michael Faraday as he presents to a crowd of enthusiastic onlookers his “Faraday Motor”, an electric motor never before seen. Also, watch Faraday on stage as he enters into his electrically charged Faraday Cage. Electricity flows violently though the entire cage and yet Michael Faraday remains unharmed. The entire audience is mesmerized by what Faraday is doing and many onlookers fear he is a magical sorcerer because they simply cannot believe what they are seeing. However, regardless of what the onlookers thought or believed, it was during this time science began to understand the secrets of electromagnetism. It was the work of James Clerk Maxwell who explained the mathematics of electromagnetism and ushered in a new era of scientific discovery and advancement. This discovery of new knowledge once again expanded our collective consciousness, expanding our understanding of how the world works. The Maxwell Equations are just one example of how one set of realizations, explained by one person, can lead to a worldview change for all of humanity. These fundamental equations, developed by Maxwell, ushered in the electrical and technical revolution, giving birth to what we consider the modern world. All of the big paradigm shifts that happened in human history were brought forth by, and can be traced back to, a specific scientific advancement that turned the impossible into possible, wizardry into common knowledge, and science-fiction into science-fact, each changing the world forever. Lets play a game for a moment. Using your imagination to travel back in time – not very far, just back to your grandparents’ generation – imagine yourself visiting your grandmother when she was a teenager. You both are enjoying a fun conversation and you are telling her stories about the future. Everything you tell her about the future is true because, well, you are from the future. You tell her stories about computers, about cell phones and GPS satellite navigation systems, as well as all of the other amazing things that are common knowledge in our modern society. When you finish telling your grandmother about this amazing futuristic world that is foreign to her, she simply cannot believe it. 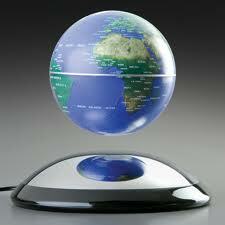 What is common knowledge and everyday life for you and I would be impossible science-fiction to our ancestors. Continuing this game of imagination, imagine now that you have traveled years into the future, and you are visiting your granddaughter. Just as you were telling your grandmother stories about cell phones, computers and GPS systems, so too will your granddaughter have stories of the future to tell you. She will tell you about levitating vehicles that do not have wheels, about quantum computers, and about her casual trips to the moon and into deep space. She will tell you about Magrav Devices that provide everyone with clean sustainable energy in a natural healthy way. She might even ask you what MPG means (miles per gallon), as that will be a foreign concept to her in a world without Combustion Technology. As your granddaughter is telling you about all of the amazing things that are happening in the future, you too might have a difficult time believing her, just as your grandmother could not believe you. It is human nature to be skeptical about bold claims that go against our current understanding of the world. It is normal to be skeptical about levitating vehicles and infinite energy devices because such things do not exist in our current paradigm – they seem impossible. However, we are on the tipping point of yet another paradigm shift, of yet another advancement in science that will prove to be the greatest advancement the world has ever seen. 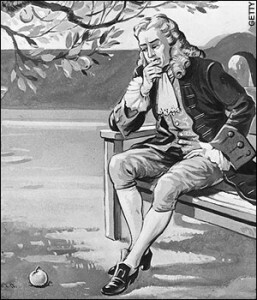 In 1687, Sir Isaac Newton published his book, Philosophiae Naturalis Principia Mathematica, in which he describes his Universal Law of Gravitation (apples fall down from trees, the moon orbits the earth, etc.). The law of gravitation and the laws of motion, as explained by Newton, are among the greatest discoveries in all of science. The same is true for the Maxwell Equations and for Nikola Tesla’s work with Alternating Current and Wireless Communication. However, what is most important to understand is that all of modern science and all of modern society has been developed with zero understanding as to how gravitational fields are created. We understand the effects of gravity thanks to Newton, but no one in the history of science has ever been able to explain how gravitational and magnetic fields are created…until now. 7. 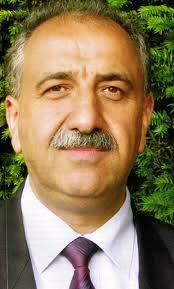 Mehran Tavakoli Keshe: The present day Nikola Tesla – enlightening the world with new knowledge. M.T. Keshe is a Nuclear Engineer who began his education at a very young age. His father was a part of the Phillips International for medical x-ray research and development. As a child, Keshe was introduced to the cutting-edge world of science and discovery. Young Keshe would travel the world regularly alongside his father, constantly learning about the amazing world of science and meeting famous scientists. Keshe was nurtured as a young child to be fascinated by the world and to constantly seek new discoveries that would ultimately improve the quality of life for all life on this planet. As a young man, Keshe attended Queen Bay College in England, where he graduated as a nuclear engineer specializing in reactor technology. During this time he began playing with his own theory of the creation of gravity. All he had at that time was a theory saying gravitational fields are created by the interaction of Matter, Dark Matter and Antimatter. He knew his theory was correct because he could see it working in his mind’s eye. In the same way, Nikola Tesla was able to see and understand the workings of the AC electric generator (the system that powers the world) in his mind’s eye before ever constructing it. As a young, ambitious scientist fresh out of school, there was not much opportunity for Keshe to gain employment doing research into his outlandish theory of the creation of gravity. So, he began his research as an independent scientist, free to do his own investigation, and free from the distractions of the mainstream scientific community. 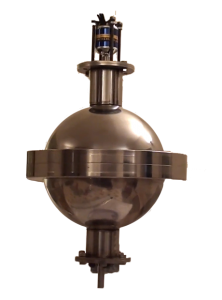 It was a very long and difficult process, but Keshe was able to independently finance his research and develop his theory to the point where he could prove it scientifically by replicating the exact gravitational and magnetic field conditions of the Earth in a small scale system. Since then, Keshe has gained support from around the world, and since 2002 the Keshe Foundation has been developing different aspects of this technology on a daily basis. They’ve made advancements in everything from energy productions to medical applications, to deep space travel. In his book, The Universal Order of Creation of Matters, Keshe explains the basic principles of gravity. These are also the same principles that apply to the interactions within a neutron – interactions between Matter, Antimatter and Dark Matter. 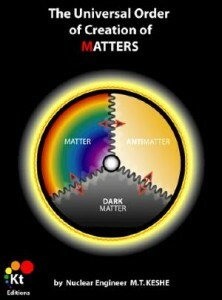 According to Keshe, the neutron is composed of these three fundamental Matters. 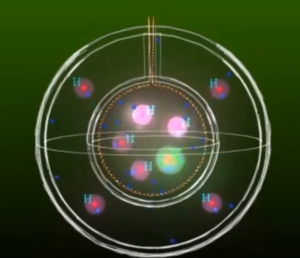 Currently in the world of science, it is assumed that the neutron, a center mass within an atom, is composed of three quarks: one up-quark and two down-quarks. This is the model that is being taught in universities around the world, and this is the model I learned in Dr. John Hagelin’s class The Foundations of Physics and Cosmology. According to Keshe however, tiny magnetic fields are the real fundamental particles originating from a cosmic magnetic soup. In other words, the foundation of matter is not smaller bits of matter. Rather, the foundation of matter is energetic frequencies that, when combined with other similar frequencies, create the new energetic frequencies that manifest as physical matter. 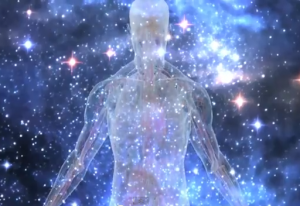 This infinite source of cosmic energy that connects all things and births all matter, is also known as Vacuum Energy, Zero Point Energy, the Plank Scale and/or The Unified Field. How does matter such as an electron or a proton emerge from the Unified Field? And, how do atoms combine to create such an amazing system as the Milky Way Galaxy? Magnetic and Gravitational fields (energy) of similar frequencies can entangle into a dynamic pack of energy. When three (3) energetic magrav fields, each with a slightly different frequencies unite together, this changes the frequency of the entire pack of energy, and birth into existence matter such as an electron or a proton. The magnetic and energetic frequencies that are the initial building blocks to all particles are: Antimatter, Dark Matter and Matter. This is not much different from our current scientific model: one up-quark and two down-quarks. 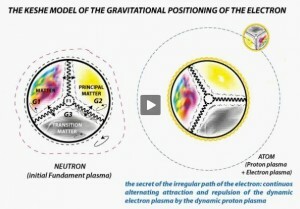 Both scientific models claim there are three (3) slightly different energies within a Neutron. The main difference between the two models is that the model developed by Mehran T. Keshe is more basic and fundamental, and has been proven experimentally in several laboratories and universities around the world – which is pretty awesome! Continuing with the technical, a neutron can decay into the plasma of a proton and the plasma of an electron, and both will still contain parts of the Matter-Trinity of the original neutron. They have each an individual, and together an overall, magnetospheric condition which is governed by magnetic and gravitational field strengths. This is similar to the inward Gravitational and outward Magnetic fields of Earth, and this is exactly how microscopic atoms can unity to create something as grand as our Milky Way Galaxy. Based on this newly developed understanding of the creation of gravity, scale prototype systems have been engineered and constructed, producing amazing results,such as creating lift and motion without burning fuel – creating lift without propulsion! If your head in spinning after reading that last section, have no fear, you are not alone. Also, if your head is spinning, be grateful because every system that is in accord with nature spins. Electrons spin around the nucleus of our atoms. The Moon spins around the Earth. The Earth spins around the Sun, and our Solar System spins around the MIlky Way Galaxy, while we forever spin through our ever expanding Universe. It can be said that the nature of life is to spin. On every level of creation, the Universe does one thing: it creates self-nourishing systems that spin in harmony with themselves and each other. Such systems include everything from the trillions of microscopic atoms in our body to the trillions of Stars within the Milky Way Galaxy. With that being said, now that we understand the basic fundamental principles behind the creation of gravity and magnetic fields, we are now able to create self-powering, self-nourishing, small scale systems that are able to do what we currently consider to be impossible. The following is a short synopsis of the main technological breakthroughs that we currently know to be possible when viewed through our new understanding of the creation of Gravity. Keep in mind: this is the paradigm shift that is upon us – we have unlocked a new door in the universe – gravity – and this is only the beginning. In 2008, the M.T. Keshe educated the Iranian Government on his Space Technology and gave a full transfer of knowledge to Iranian scientists. In 2011, Iran became the first nation in the history of the world to announce they have an established Spaceship Program. As of this writing, fourteen (14) nations have received a full transfer of this knowledge: Iran, India, Italy, Japan, Armenia, Sudan, Thailand, Bangladesh, Sierra Leone, Australia, Congo, Russia, China, and the United States of America. More nations are being added to this list regularly. You may be wondering, what is a Spaceship Program? Well, this kind of program is similar to NASA, the Russian Space Program, and SpaceX (the first private space organization to run missions to the International Space Station). Unlike these conventional space programs, however, a Spaceship Program is developed around the use of Magrav Technology, using Magnetic and Gravitational fields as a mean of lift, drive and energy generation, as opposed to the use of combustion technology. Essentially, our new understanding of the creation of gravity has made the use of combustion technology obsolete. The days of being dependent on Coal and Oil are over. In the near future we will see cars with no wheels and we will be able to travel in Space under conditions similar to flying in an airplane here on Earth. No longer needing to train for ten years to become an astronaut, we are all now capable of being astronauts, as the human race becomes interplanetary. 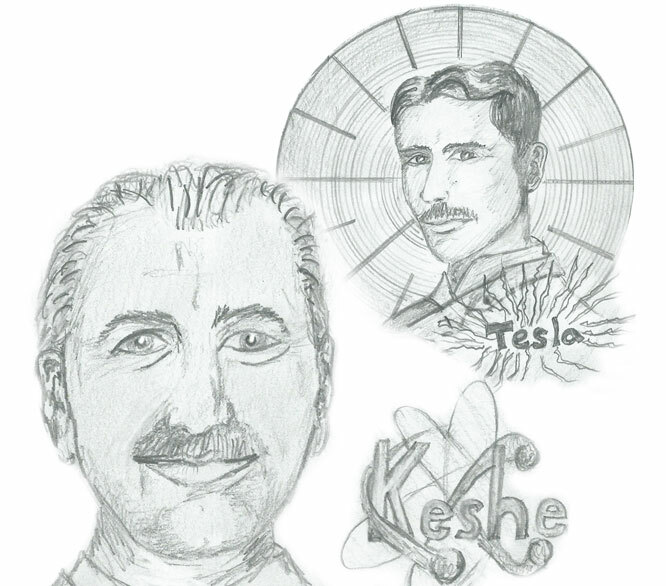 The Keshe Foundation announced in April of 2012 that they are establishing the Spaceship Institute. An independent non-profit educational organization that aims to give mankind the real freedom to travel in Space, to explore Space in an easy inexpensive way, while at the same time realizing world peace. 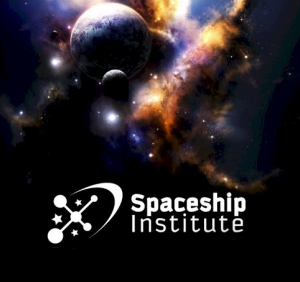 The Spaceship Institute is an open organization, accessible to all scientists and students of all nations, and is a subsidiary of The Keshe Foundation. They will begin by accepting one hundred (100) scientists from around the world to be educated on this new knowledge, so they may take this knowledge back to their own nations. 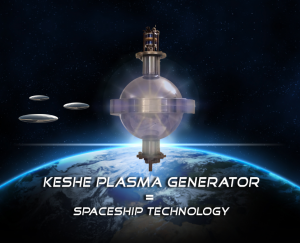 The Keshe Foundation is a Space Organization. The reason why they have pushed ahead and begun developing the medical aspects of this technology is, like any other space agency, they have to cover all aspects of space travel – medical, energy, food and water, and even protection against harmful cosmic radiation. All of these things must be understood when traveling in deep space. The entire concept of the medical aspect of this technology is to develop one holistic medical application that is able to process and reset any illness that we currently know of, as well as any new viruses or diseases we may encounter in the future. This means, having one medical application that is able to reset one’s body to its original, harmonious, balanced state of health. As journeys in space will go further and last longer, space travelers will need a portable health system to help them recover from any type of illness. Human cells are made of a combination of plasmatic magnetic fields which form the structure of the atoms of hydrogen, oxygen, carbon and nitrogen that are the building blocks of the amino acids in the human body. The Keshe space health technology works directly with this plasmatic anatomic structure of the human body and shows it how to get back to its original state of health. The procedure works quickly with no tablets or injections and has no side effects. 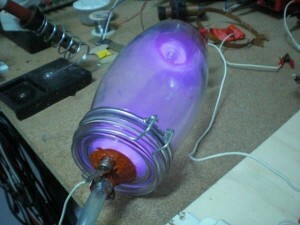 Numerous trials for this technology have been carried out with volunteers who had exhausted all other medical options. Go to our website, www.KesheFoundation.org, to see testimonies and videos of these trials: A.L.S, Cancer, Multiple Sclerosis (M.S. ), Parkinson, C.F.S., Fibromyalgia. and Gangrene. Also on our website you can learn more about other severe diseases that we have successfully processed. With Magrav Technology it is possible to produce batteries and plasma power generators of up to 10 Kilowatts that need no fuel and thus providing clean abundant energy, day or night. This one application of this technology has single-handedly made the human race independent of burning fuel. There is no jet engine on the Moon that propels it around the Earth, just as there is no combustion engine within the Earth that pushes us around the Sun. The Earth and the Sun are engaged in a Gravitational and Magnetic system that is in alignment with the laws of nature, and thus is a system that is self-nourishing and self-perpetuating – it spins. With our new understanding of the creation of Gravity and Magnetic fields, we are able to replicate the type of self-nourishing systems that are able to push a current of electrons through a coil of copper wire, generating electricity anywhere in the Universe at any time. In a modern power plant, coal is set on fire to boil water. The water turns into steam, and the steam pressurizes to power a steam engine. 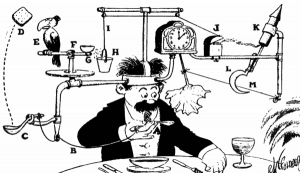 The steam engine simply rotates a permanent magnet within a coil of copper wire. Currently, this is how the energy that powers your home is generated – by coal. When you pay your electric bill you are paying for the coal, the railroad systems to transports the coal, the trucks and equipment that digs the coal you of the earth, as well as the power plant, the electrical grid, and all of the maintenance. All of this is the cost of the “energy” that is within your “energy bill”. All of this is simply to rotate a magnet with a coil of copper wire. 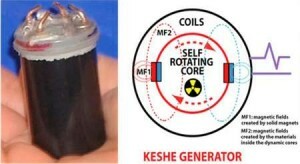 The Keshe Generator is a self-nourishing system that consists of a rotating plasmatic magnetic field within a coil of copper wire and has been developed from our new understanding of the creation of gravity. Just as our electrons spin naturally around our atoms, so does the Keshe Electric Generator spin naturally within the laws of nature. This is precisely how this technology has made the human race independent of burning fuel. 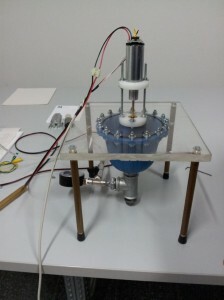 The Keshe Electric Generator is roughly 7 cm in length – a little bigger than a roll of quarters. It contains zero radioactive material, thus gives off no radiation, and it is as safe as a household battery. This is the new paradigm we are now entering, and it is mind blowing. 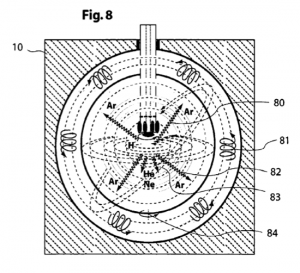 Using the parallel magnetic attraction principle this technology can decontaminate chemical leakage and nuclear radiation from any land mass or body of water. 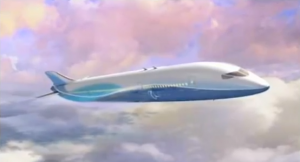 It can also clean up CO2 emissions efficiently while creating clean water. 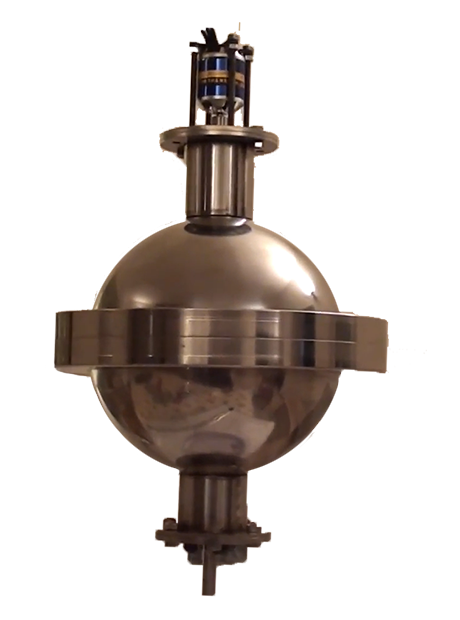 This aspect of Magrav Technology has been proven effective by teams of scientists working in Fukushima. On this planet and in this society, wealth is highly concentrated in relatively few hands. As of 2012, the global distribution of wealth stands as follows: there are ninety-one thousand (91,000) people on this planet who own 30% of all of the monetary wealth on the planet. Meanwhile, there are six billion (6,000,000,000) people on this planet who own only 19% of all of the monetary wealth on this planet. To put it this into perspective, imagine you are in a room with one hundred (100) people, these people represent the entire world population. Also within this room is all of the monetary wealth of this planet – it equals 100 dollars. 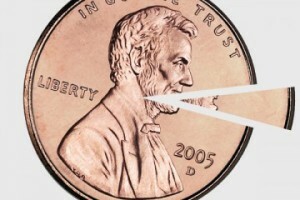 In this example, one (1) person would receive $30, nine (9) people would receive $50, and the remaining ninety (90) people in the room, including you, would be forced to fight over the remaining $20. This is immoral wealth inequality, the result of a capitalistic society which is in constant competition with itself for profit maximization; this is, in turn, the result of the scarcity-based mindset that is inherent within our economic system. 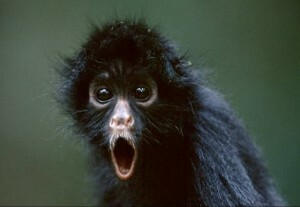 The good news is, however, this economic system is failing very badly and it is causing a revolution. Do you remember the Occupy Wall St. movement? What do you think they were protesting? If you think they were just a bunch of lazy, no good, unemployed hippies, then you might benefit from some reframing. The Occupy Wall st. movement is a group of people, young and old, from around the world, who all have awakened to the injustice that is our modern society. And this movement is protesting the wealth inequality on this planet, as well as,the negative ramifications of profit maximization – the foundation of modern capitalism. The Keshe Foundation, being a nonprofit organization has dedicated this new knowledge and technology to all humanity – for free – thus liberating us from the confines of our capitalistic society. You may be wondering: how is this new knowledge going to liberate mankind? For this question, we need only one fact: in order to do anything we require Energy. Our entire modern society has been developed around combustion technologies, as a mean of transforming one form of energy into another. Coal gets transformed into electrical energy that powers your home, and oil is transformed into mechanical energy that powers your car. Coal and oil are commodities at the basis of our economy, and they are also the sources of energy powering today’s society. As it stands, if tomorrow we wake up and there is no more coal or oil, then there will be no more economy and there will be no more modern society. With that being said, our future economy and our future society will not be structured around the use of combustion commoditized energy. Our society, in the very near future, will be structured around freely accessible energy that is generated via the laws of nature. Again, with our new understanding of the creation of gravity and magnetic fields, we have made the use of combustion technology obsolete. We have opened the door to accessing unlimited, clean energy in a natural, holistic way anywhere in the universe, at any time. This is how our new knowledge will liberate mankind, and this is unfolding right now! 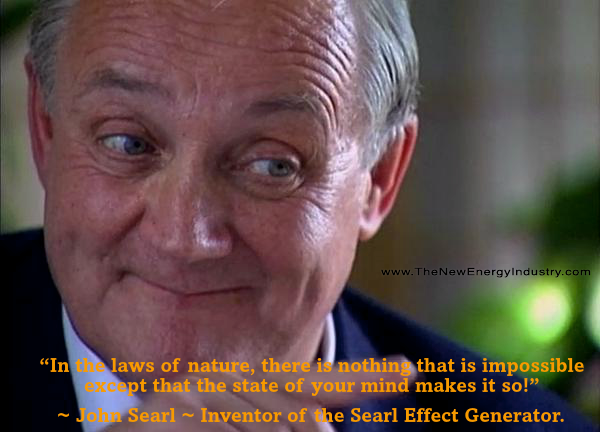 We are going from the paradigm of dirty expensive energy to the paradigm of clean, abundant, freely accessible energy. And this shift in collective consciousness levels the economic playing field. The purpose of this writing has been to inspire all those who feel uninspired, to give hope to all those who feel hopeless, and to spread love to all those who are fearful of the future. We as humanity are at a new beginning. A beginning brought forth by one man who discovered one fundamental truth within nature. This truth is in the process of integrating into our society, expanding our awareness, and enlightening humanity. Where once there was darkness and confusion, now there is light and clarity. The question now remains, where do you want to go from here?